On Wednesday 3rd October, our HE Medical Sciences students took part in a course in Palliative Medicine at St Catherine’s Hospice. 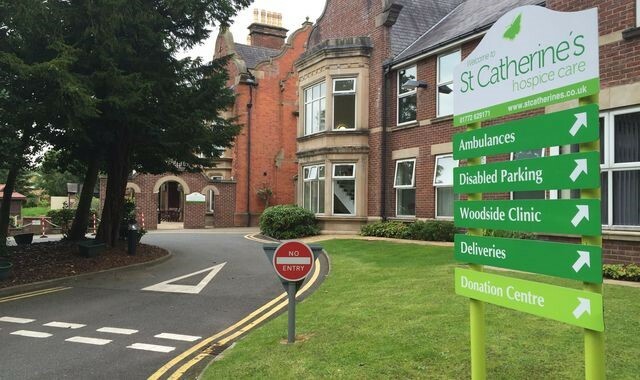 Palliative Medicine is massively underrepresented with the healthcare profession and St. Catherine’s have been very keen to talk to our students about the fantastic but specialised care they deliver. The day incorporated talks and activities by a variety of health care professionals who discussed the multidisciplinary aspect of palliative and end of life care. The day centred around a case study about Dave, a 50- year old terminally ill patient and his care plan. The talks also enabled students to hear about how the staff had come to work at the hospice and the route they had taken into their professions. During the day, students experienced the activities carried out by doctors, nurses, physiotherapists, community nurses and catering staff in the care of terminally ill patients. A wonderful day was had by all and we look forward to taking our Medical Society student to the hospice over the coming months to observe the care given by these highly skilled professionals.